and ground preparation, from block clearing to shed pads, driveways, firebreaks and also drainage. Armac can take care of all your earthworks requirements. With our extensive knowledge of ground preparation and drainage, we can see the “Big Picture” of our customer’s requirements and can complete the project from start to finish, while working closely with the customer to ensure satisfaction every time. Armac contracts to a range of clients on both large and small earthworks projects. At Armac we can do the whole job or coordinate with other companies to complete the work if that is what you require. It’s all part of our friendly customer service to get you the result that you will be happy with. 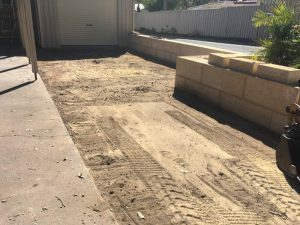 At Armac we can clear and remove the trees in the area, grind or dig up the stumps; do the whole yard cleanup and prepare the ground for your new driveway, firebreak, shed pad or any part of the job you need. 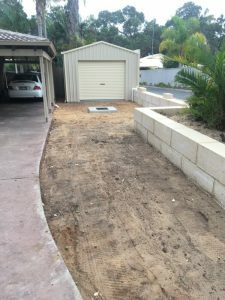 For more information, call Ray on 0448 442 477 to discuss your ground preparation and earthworks needs.